Children's Hospital Sued Over "Accident Waiting to Happen"
What started as a routine doctor's appointment at Children's National Medical Center last year turned into a nightmare of an emergency for a Woodbridge mother and her son. Now the hospital may be in for a legal nightmare, as it's facing a $57 million lawsuit for an accident in its parking garage. It was March 11, 2009 when Paola Destefano was trying to usher her two young children, ages six and four, back into the family's car, according to lawyers. They had just taken six-year-old Giovanni to Children's for a checkup with his doctor, since he suffers from seizures. Destefano told her children to step away so she could open the car door. four-year-old Valerie backed into a wall, but there was no wall behind Giovanni, according to attorneys. There was a two-by-three-foot opening to a vent shaft, which was uncovered. Behind that opening was a two-story drop, and ultimately, a mother's worst nightmare: Giovanni slipped into the hole and plunged 24 feet to the ground. Destefano reached into the hole after hearing her son scream, but was unable to grasp anything in the darkness. "There was no end to the hole, she had no idea where he son had gone," said attorney Dawn V. Martin, who is representing Destefano's family in the suit. Children's National Medical Center and Colonial Parking are being sued for $57 million after a little boy fell two stories through an uncovered vent shaft in the hospital's parking garage. A rescue crew ended up finding Giovanni on the concrete floor at the bottom of the garage. He was rushed into intensive care at Children's, suffering from fractures, a split scalp, concussion, and other injuries all over his body, according to attorneys. Lawyers also say there were no signs, cones or other warnings about the uncovered vent opening. It's been more than a year since the terrifying accident, and Giovanni is out of the hospital. But Destefano told News4 on Thursday that her children have changed; they are fearful of cars and parking. Her lawyers also say Giovanni's seizures have worsened since the fall. Colonial Parking, which manages the garage, is also named in the multimillion dollar lawsuit. Destefano's lawyers say Children's National and Colonial are blaming each other for leaving the vent uncovered, but neither defendant had commented on the lawsuit on Friday. 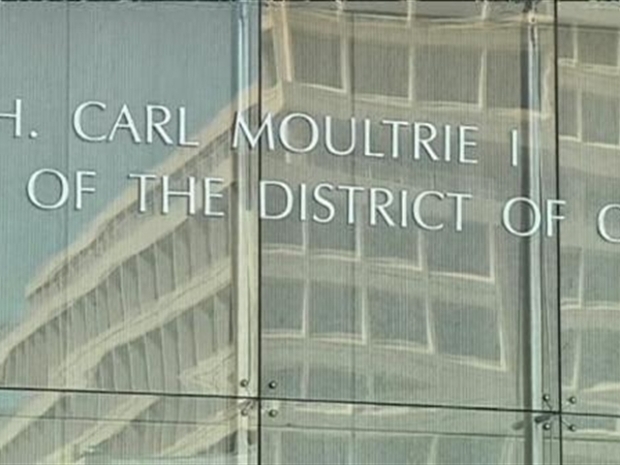 Preliminary arguments that were initially scheduled to be heard in D.C Superior Court on Friday were postponed.